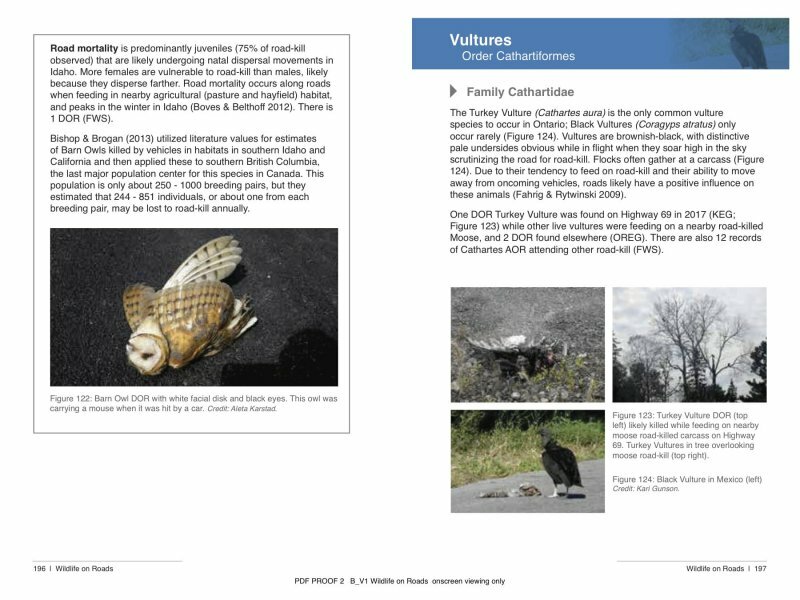 This handbook is ideal for naturalists, students, and citizen scientists who would like to collect accurate and complete wildlife on-road data for application to mitigation planning. However, professionals and practitioners will also benefit as well. 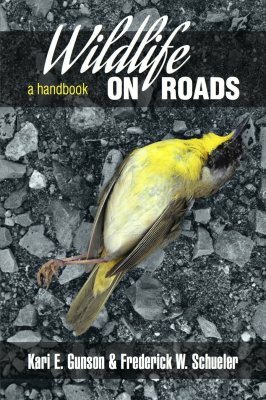 There is an extensive literature review through-out the book, and also species essays that will supplement road ecology data collections. 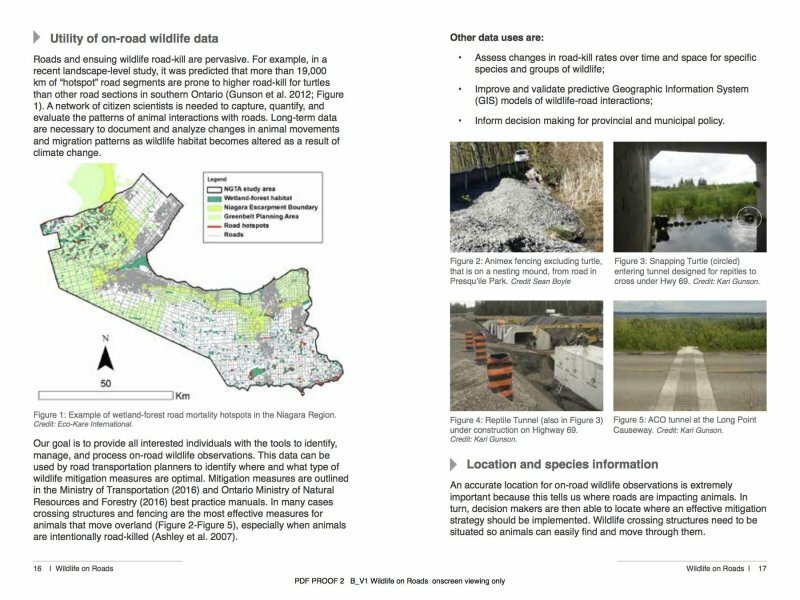 The species essays focus on vertebrates found in Ontario, but because the book is organized from higher to lower taxa (Class-Order-Family-Species) and why these animal groups are susceptible to road mortality there is something to learn from this in all regions. We wish this handbook to be a model for other regions. The book is organized by vertebrate group: amphibians, turtles, snakes and lizards, mammals and birds and a data management section. Each animal chapter first describes why these animals are on roads and what makes them vulnerable to road-kill. 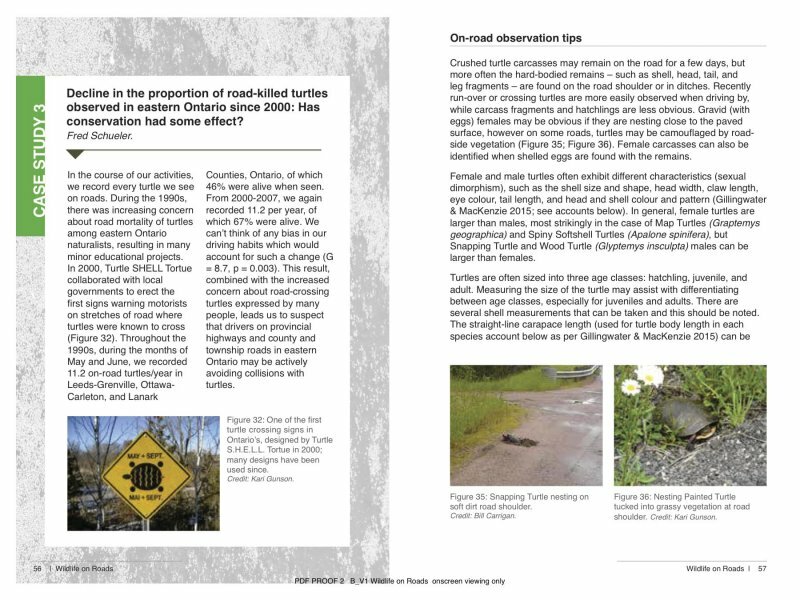 Following these literature reviews the diagnostic features, in context of road-killed carcasses, are outlined for each family and species groups. The handbook features a data management section and an iNaturalist project where concerned citizens can deposit and download their data.